LVMH owns Château Cheval Blanc and Château d’Yquem in Bordeaux; several Champagne houses including Dom Pérignon and Krug; Numanthia in Spain; Cloudy Bay in New Zealand; Cape Mentelle in Australia; Newton Vineyard in California; Cheval des Andes and Terrazas de Los Andes in Argentina, and Shangri La in China. The recent purchase by Bernard Arnault’s Moët Hennessy Louis Vuitton group of the 8.84 hectare Domaine des Lambrays gives LVMH not only its first Burgundian vineyard, but also the vast majority of one of Burgundy’s oldest grand cru vineyards, the Clos des Lambrays. Domaine des Lambrays is a ‘masterpiece’, says CEO and chairman of Moët Hennessy, Christophe Navarre. ‘It represents the perfect expression of the nobility of Burgundy wines,’ he says, citing the ‘unique’ nature of the Clos des Lambrays within Morey-st-Denis, and the ‘delicate character and elegant taste’ of the fruit from the vineyards. The sale, for ‘around €100m’ (£79.46m) according to domaine director Thierry Brouin, sees Domaine des Lambrays join a fine wine empire that already includes Krug and Dom Pérignon in Champagne and Château d’Yquem and Cheval Blanc in Bordeaux among others. While the domaine is most famous for the grand cru Clos des Lambrays – 30,000 bottles a year – the purchase also includes 1ha of Morey-St-Denis vines, just over 0.3ha of Morey-St-Denis premier cru, plus Clos du Cailleret in Puligny-Montrachet (0.37 ares, 1ha = 100 ares) and Les Folatières premier cru in puligny-Montrachet (0.29 ares). Of the Domaine des Lambrays’ 8.84ha, 8.66ha represent planted vines of Clos des Lambrays grand cru – a virtual monopole vineyard except for 0.18ha of vines belonging to neighbour Domaine Taupenot Merme, about 200 bottles. Navarre – who will meet this November with Brouin to assess marketing strategies and price policies – has praised Brouin’s ‘amazing job at the domaine for the past 35 years’, saying he is ‘one of the most respected winemakers in Burgundy’. Navarre doesn’t foresee any specific changes in the near future; indeed, readers might recall that it was more than 15 years before a new cellar was constructed at Cheval Blanc after it was acquired by LVMH and Albert Frère in 1998. ‘The domaine is perfect as it is today, from the size of the domaine to the price of the bottles, and the quality of the infrastructure; we really want to keep the original spirit of Clos des Lambrays,’ Navarre says. However, Brouin did say that prices could increase. ‘It would not be dramatic,’ he says. ‘For now the 2012 costs €120 [£95.50] per bottle ex-domaine, but this price could come closer to €150 [£119.50],’ he said. ‘I hope it doesn’t go any higher than that.’ Domaine des Lambrays has not always been on top form. When Brouin arrived to manage the estate in 1980, it was in disarray, many vines had not been replanted and entire vintages from the 1970s had not been bottled. The estate had earned the nickname Clos Délabré – a French play on words, as délabré means dilapidated. Located in Morey-st-Denis in Burgundy’s Côte de Nuits region between Dijon and Beaune, Clos des Lambrays dates back to the 14th century, and was first cited in deeds of Citeaux Abbey in 1365. Like other estates, it was broken up during the French Revolution but was put back together piece by piece by 1868, thanks to the work of négociant owner Louis Joly. 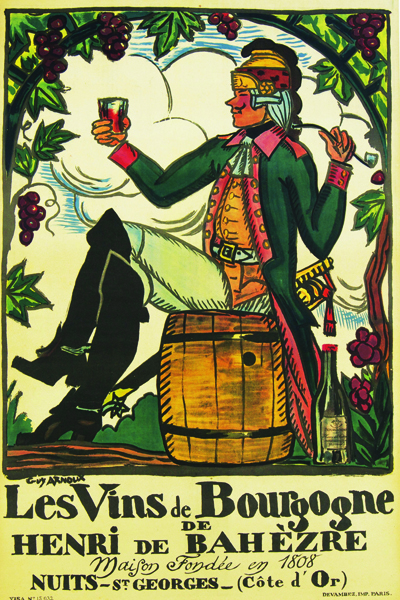 Although highly ranked as a ‘première cuvée’ in Dr Jules Lavalle’s influential 19th century book, Histoire et Statistique de la Vigne et des Grands Vins de la Côte d’Or, Brouin explained that Renée Cosson, owner for 40 years from the late 1930s, did not seek grand cru status, to avoid the associated increase in taxes. Although surrounded by grand cru appellations in Morey-St-Denis, Cosson’s neglect of the estate up until 1977 did not help its reputation. One of the first things Brouin did when he arrived in 1980 was to distil still unbottled 1973 and 1974 wine into the local brandy, Fine de Bourgogne. Several months later, under the direction of the new owners, Fabien and Louis Saier, he uprooted 2.5ha of disease-ridden vines: well over 25% of the property’s plantings. Brouin deserves much credit for turning the property around under the two ownerships since the Cosson era, first the Saier brothers and then German couple, Günter and Ruth Freund. The Freunds purchased the estate for the current equivalent of €15m (£12m) in 1996 and made further investments, including expanding the underground cellar and constructing a beautiful orangery garden. They also declassified young vines up to the age of 25 years. Clos des Lambrays is the steepest of the Morey grand crus, the slope clearly looking over Clos de Tart with its highest point at nearly 370m above sea level and its lowest about 250m. The Clos is made up of three main vineyard areas. Driving next door to Domaine Ponsot, Brouin likes to point out how the undulating nature of the vineyard creates subtle, distinct microclimates: ‘You can see that there are complex exposures even as the slope descends,’ he says. Each of the three parcels has its own distinct terroir. The first, 1ha of heavier clay and large loam soil at the bottom called Meix Rentier, has a small slice of the vineyard that can be seen from the Route des Grands Crus. The second, Les Larrets, is 5.72ha, and in the mid-slope heart of the vineyard, which Lavalle had ranked ‘première cuvée’ since it has the best exposure to the sun; Brouin says it is the best drained. Finally there is Les Bouchots, 1.99ha, at the top, which brings ‘elegance’ to the wine. Thanks to the proximity of the Combe de Morey dry valley, cool air streams over these vines, Brouin explains. Among vineyards in the area, Clos des Lambrays contains the highest percentage of rocky, red soil, rich in iron oxide, in the upper part of the vineyard, which could explain the more elegant, cooler blue fruit and mineral-driven expression, compared with the bigger, dark-fruit driven nature of Clos de Tart. That Brouin enjoys picking earlier than all his neighbours certainly lends freshness to the wine. LVMH’s venture into Burgundy may be good news for Morey-St-Denis in general, neighbours say. ‘We have always been in the shadow of Chambolle- Musigny and Gevrey-Chambertin, so this is good for us as LVMH will give us a certain cachet,’ says Taupenot Merme’s Virginie Taupenot Daniel. ‘Due to what they have done at Yquem and Cheval Blanc, LVMH will do great things here,’ she predicts.